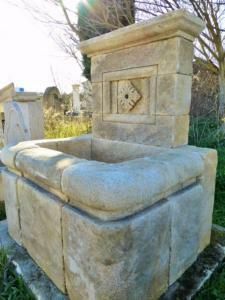 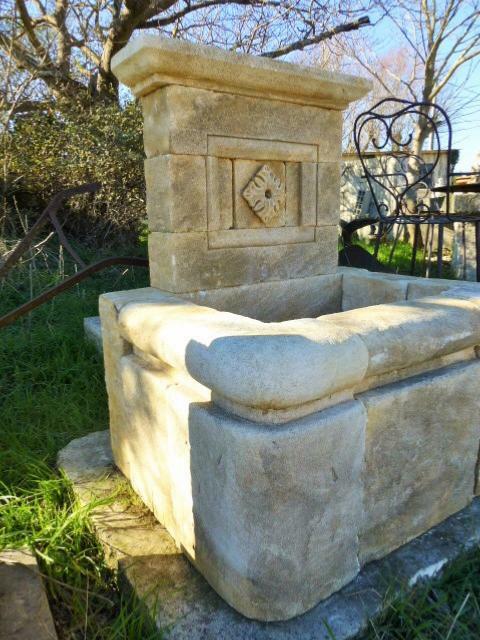 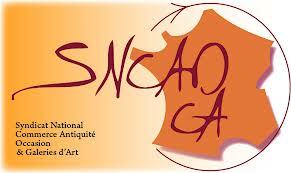 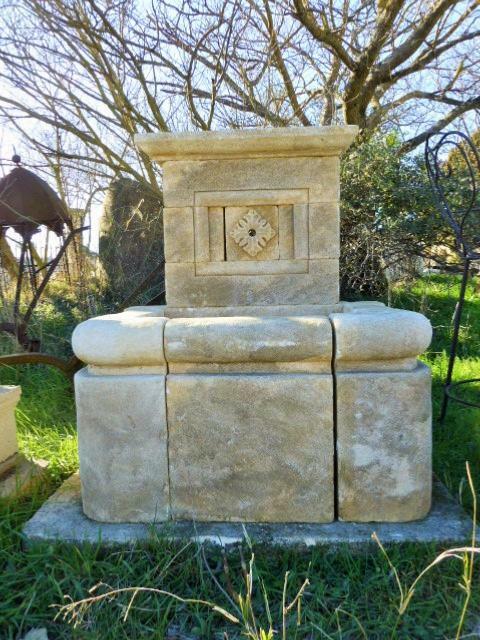 Elegant natural stone carved fountain made by a French craftsman. 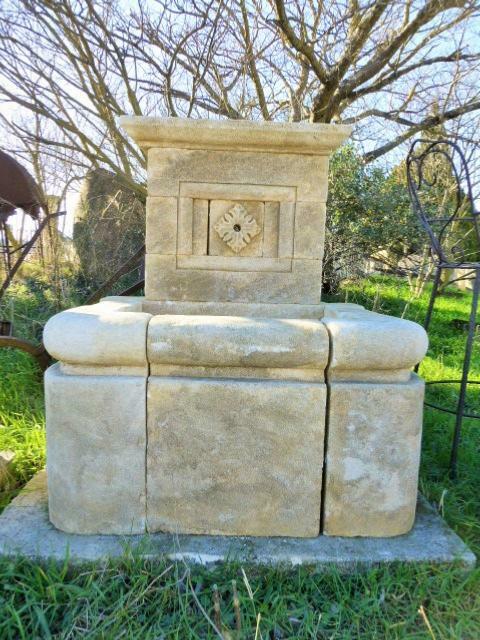 Simple but generous shape for that fountain intended must to be placed on a wall. The pond is surrounded by a ledge in an arc.